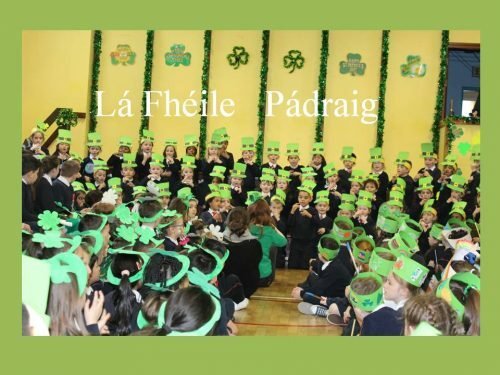 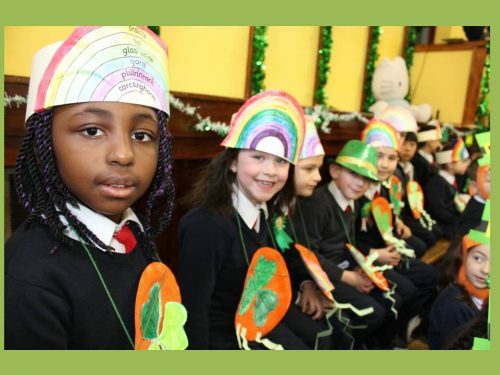 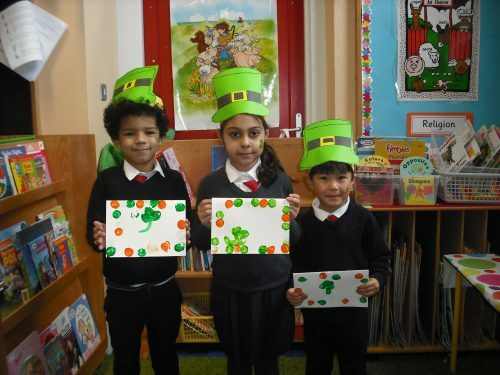 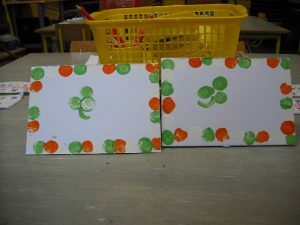 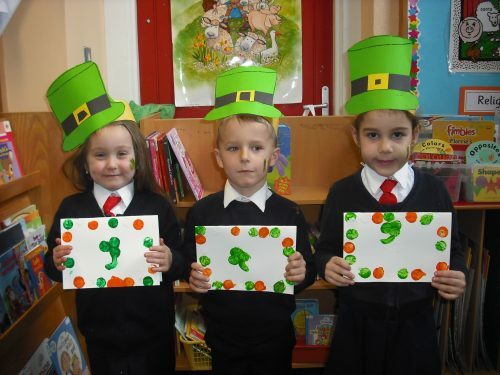 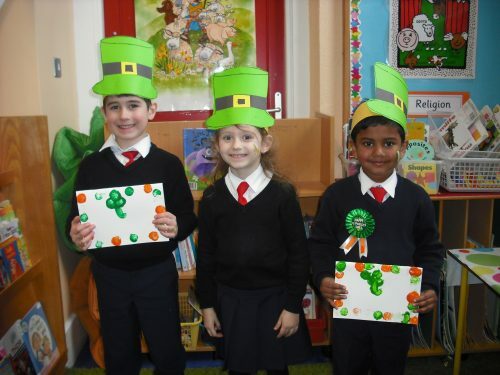 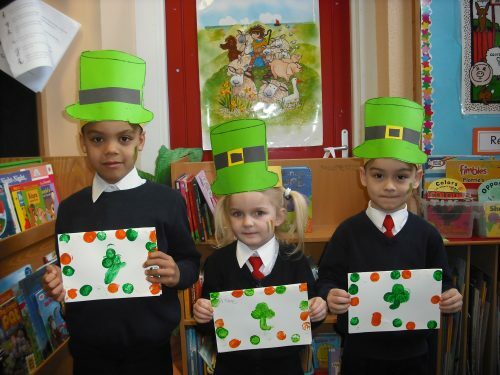 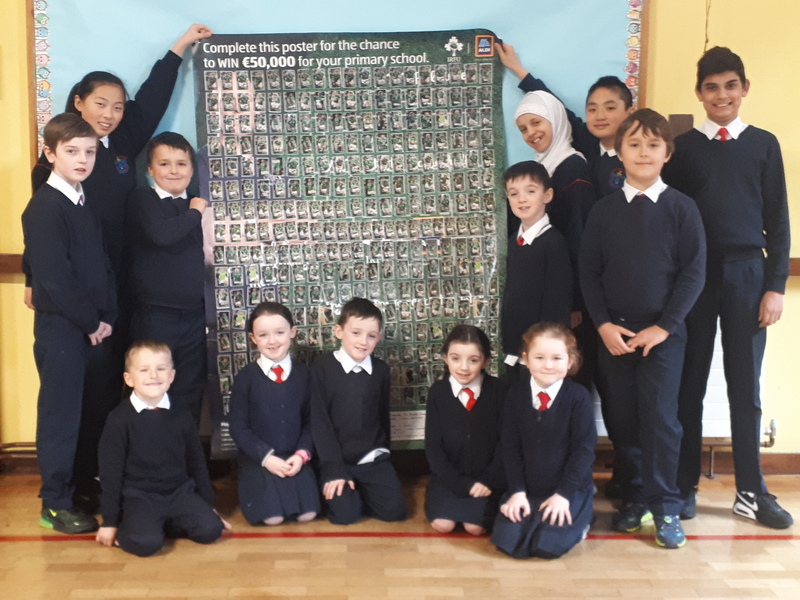 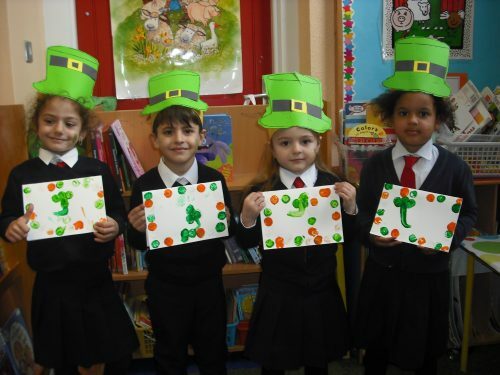 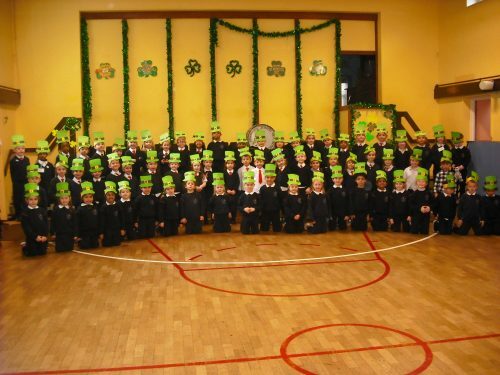 We cut out and glued Leprechaun Hats and we used bottle corks to paint flag patterns and shamrocks on our St. Patrick’s Day Cards. 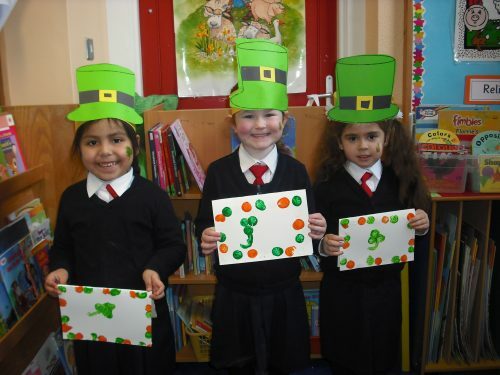 We did some lovely writing inside our cards too. 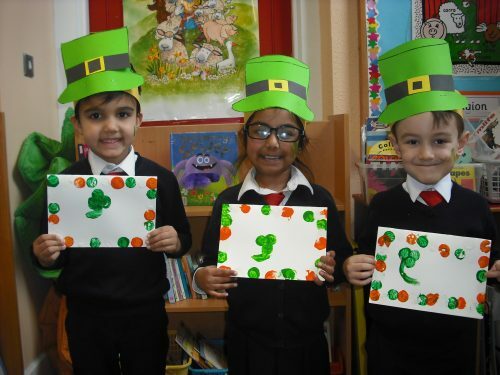 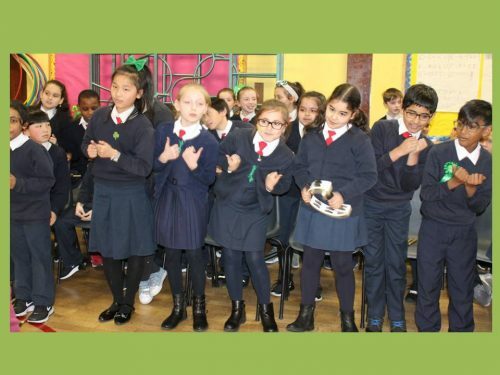 We also drew some lovely, Lucky Leprechaun’s by following a You Tube Art Hub video and I think you will agree they look fantastic!